What’s an Australian mum doing by herself in a city like Istanbul? Well.. a few things! It was an International psychology conference that drew me half way around the world to this amazing city... but importantly my love for tango also drew me there. 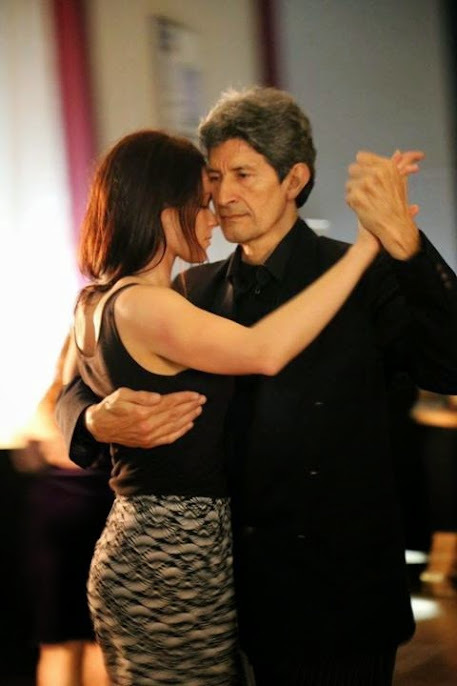 I started dancing tango about 3 years ago and quickly felt intoxicated, not just by the dance itself, but the experience of what it is like to be dancing with such connection to another person. Australia has a reasonably lively tango scene but nothing compares it to Buenos Aires or as I was to find out... Istanbul. After chatting to a few of my tango friends I learnt that Istanbul had a reputation for great tango dancers and a lively tango scene. Fortunately I was planning to stay in Cihangir, which turned out to be near many of the good milongas (a social place to dance tango). The first day I arrived in Istanbul I dragged my jetlagged self to Milonga Ponte, which is at the Ponte Restaurant off Istiklal. I had a pre-milonga drink upstairs at the bar, which commanded splendid views of the Bosphorus, and when I finally made it downstairs to the milonga, I was continued to be met with this gorgeous view. Another milonga with a fabulous view is at the Point Hotel, but my favourite Milonga was Milonga 333. I was lucky enough to be able to contact a Turkish woman I had previously met in Sydney who had moved back home to Istanbul – she took me to this milonga and introduced me to people. It was here that I met a welcoming crowd and had some wonderful dances. It had a small dance floor with a relaxed vibe and a great DJ... who kept me dancing until the early hours of the morning, despite the conference that I had to get up early for the next day! The best website I came across to find out details of where to tango is called “Milongas Istanbul”. I also came across a fantastic place to buy tango shoes – and cheap by Australian standards! Turquoise. I bought myself a beautiful black suede pair. There are also some fantastic tango festivals in Istanbul. Unfortunately I wasn’t able to time my trip for the most recent festival. www.istanbultangofestival.com - but maybe next time! Overall it was a friendly welcoming tango scene and I am already dreaming of returning. Istanbul you are amazing. Thanks for the good times, the tango, the culture, the sights and the baklava! A mother, and a clinical pyschologist in Sydney with a great passion for traveling and tango. What are some of Istanbul's best streets to get lost on? If you had to compare Istanbul to a city in the U.S., which would come closest?